WJR Constructione Take Your Dreams and Bring Them to Life. JR Construction is a licensed and insured, full-service interior renovation company and general contractor, family owned and operated since 1983. With more than 30 years in business, JR Construction has grown to provide commercial and residential services to all five boroughs of New York City, and the New York, New Jersey and Connecticut tri-state area. The JR Construction team takes great pride in providing professional and reliable service. JR Construction is committed to completing projects on time, safely, and impeccably. The JR Construction team have also made it a priority to work with customers in developing sustainable, green and reusable methods as appropriate to each project, including recycling demolition materials. Address: Near Ecil, Nagaram, Rampally, Hyderabad, Telangana, India. 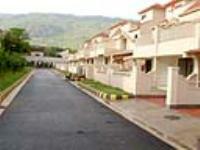 This Builder Profile page for "JR Construction" has been created by PropertyWala.com. 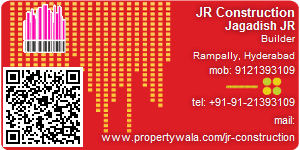 "JR Construction" is not endorsed by or affiliated with PropertyWala.com. For questions regarding Builder Profiles on PropertyWala.com please contact us.